​Arsenal goalkeeper Petr Cech has announced his intention to retire at the end of the season. The four-time Premier League champion will celebrate his 37th birthday in May and feels the time is now right to hang up his gloves after achieving everything he set out to do in his career. "This is my 20th season as a professional player and it has been 20 years since I signed my first professional contract, so it feels like the right time to announce that I will retire at the end of this season," Cech explained in a short statement released on Twitter. "Having played 15 years in the Premier League, and won every single trophy possible, I feel like I have achieved everything I set out to achieve." Reassuring Gunners fans about his commitment for the remainder of the campaign, he added, "I will continue to work hard at Arsenal to hopefully win one more trophy this season, then I am looking forward to seeing what life holds for me off the pitch." 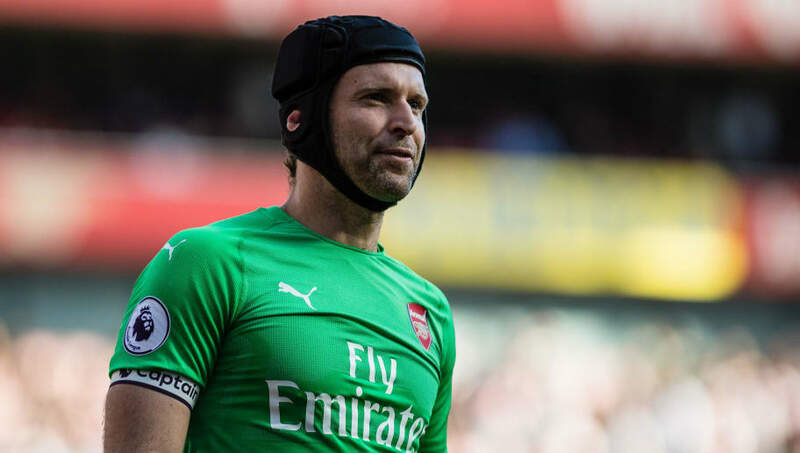 Aside from his Premier League success, Cech, who joined Arsenal from Chelsea in 2015, has also won five FA Cups, three League Cups, the Champions League and Europa League, as well as four Community Shields in a club career that began with Czech club Chmel Blsnay in 1999. After initially starting this season as Arsenal number one and captain, Cech lost his place to summer signing Bernd Leno after a short layoff with a hamstring injury and has been on the bench for every Premier League game since late October. Cech holds the Premier League record for most clean sheets with 202 in 443 appearances. He has worn his trademark headwear for games ever since recovering from a life threatening collision with Reading winger Stephen Hunt while in action for Chelsea back in 2006.